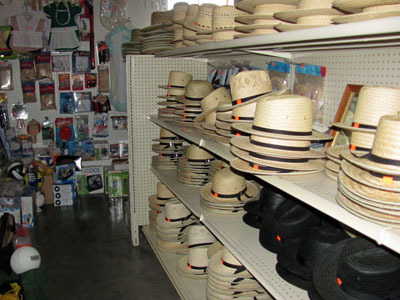 One of the neat things about Clare (and Gladwin) County are the Amish businesses that can be found in each. I enjoy stopping at Amish roadside stands for jams, jellies, maple syrup, baskets and the like. I sometimes stop at their stores to admire their handmade furniture–something I cannot yet afford. Anyway, if you are thinking of coming up to our mid-Michigan county, here is a listing of Amish Businesses with map. (The listing comes from the Clare County Chamber of Commerce guide. ) Please note that not all the businesses in the listing are shown on the map. Oh, as to the pointing thing, early on I took my daughter and her husband on a tour of the county and pointed at the first Amish couple we saw. My daughter was appalled at my act and let me know they are not show things or objects on display. She was right. Visit them, note the different look of their farms and how they work and live, buy from them, but always treat them with respect. And slow down and watch for horses and buggies. Every year, there are crashes involving the Amish and the English (the Amish term for the non-Amish), and the Amish always lose. Note: Twice a year there are big Amish auctions in the county. They occur in the spring and late summer. Why is the link to Amish wares not working? Please send this list to me, if possible! They must have moved the page. I updated the link. (http://www.clearlyclaremi.com/node/29) It’s working now (and will as long as it doesn’t get moved again. My apologies. Sorry about the problems you are having. I didn’t realize the link had changed (that’s one of the problems linking to an outside site!). Anyway, I am in the process of redoing the map and listing and will have that posted for everyone on the 26th of June. Thanks for bringing it to my attention and I again apologize for the problems.